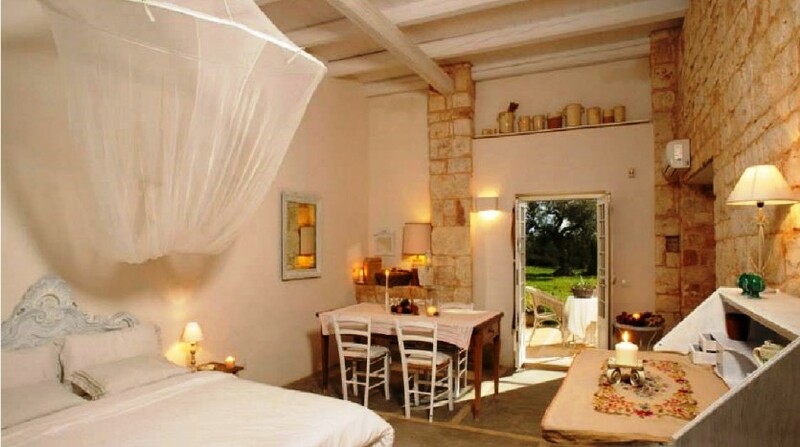 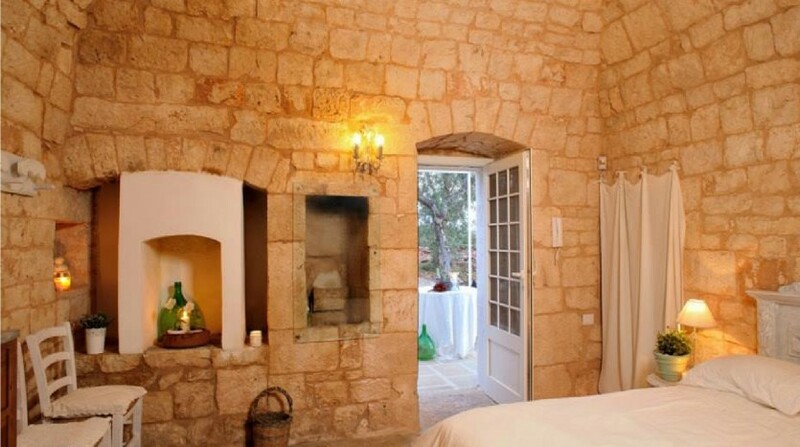 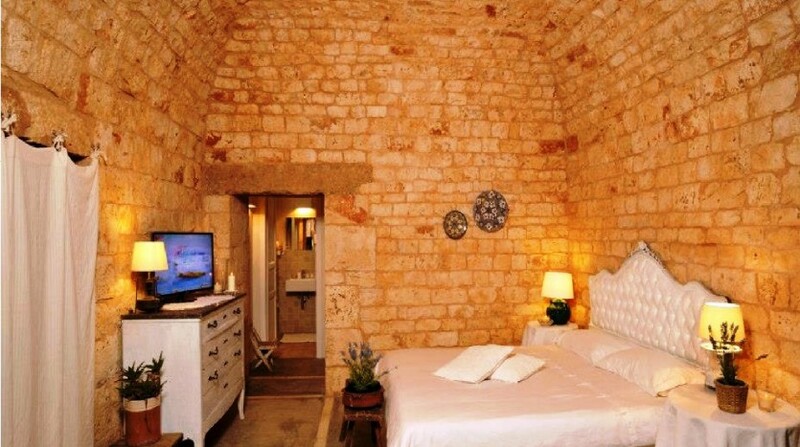 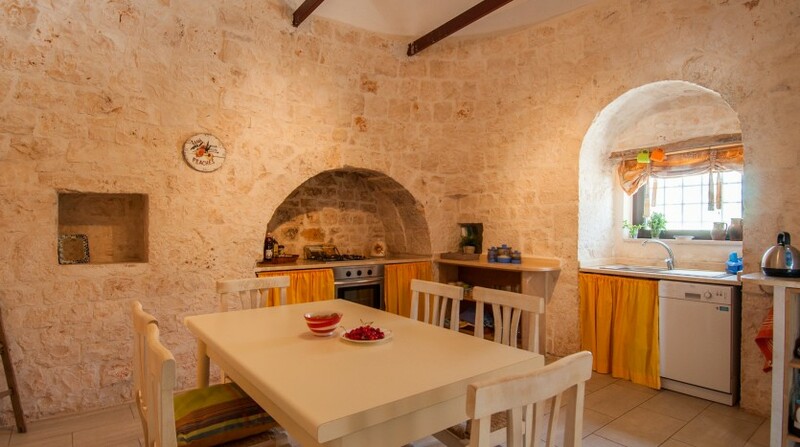 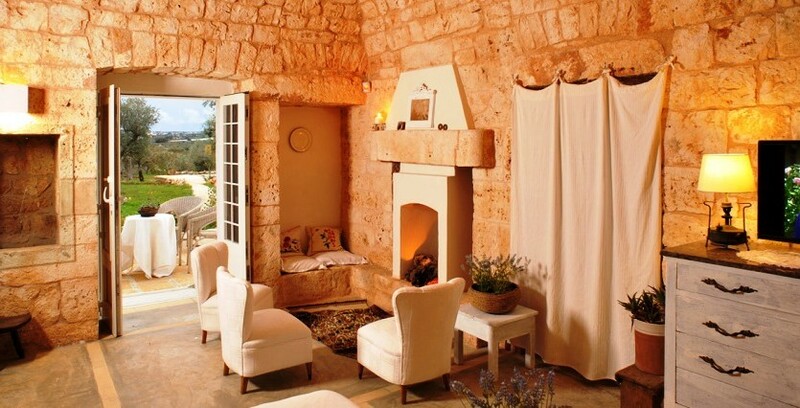 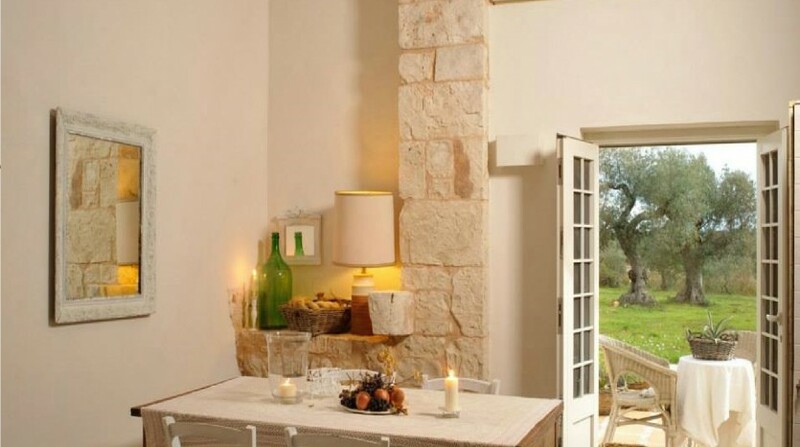 A gracious and typical Trullo, a traditional Apulian dry stone hut with a conical roof. 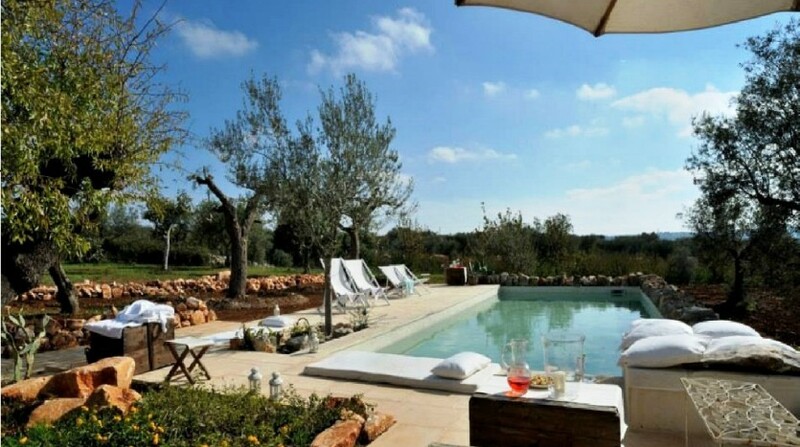 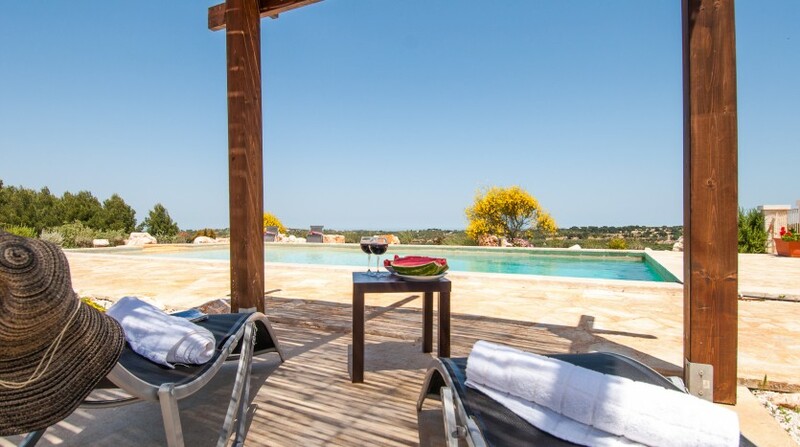 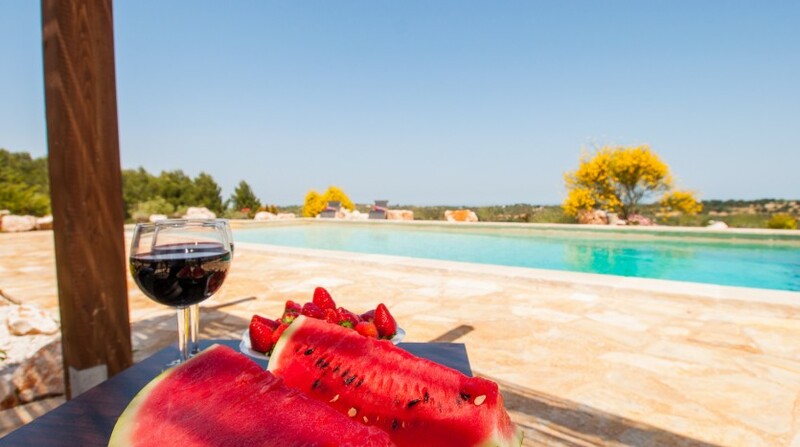 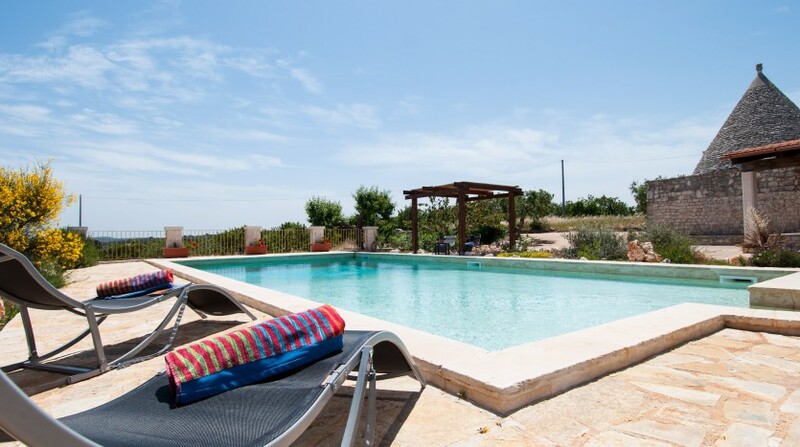 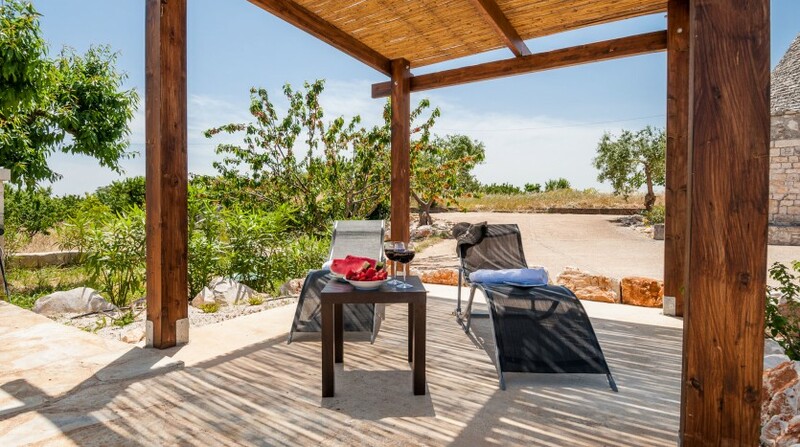 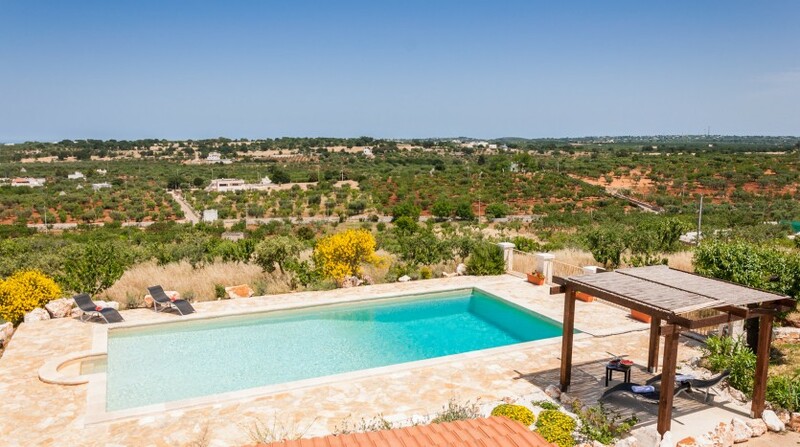 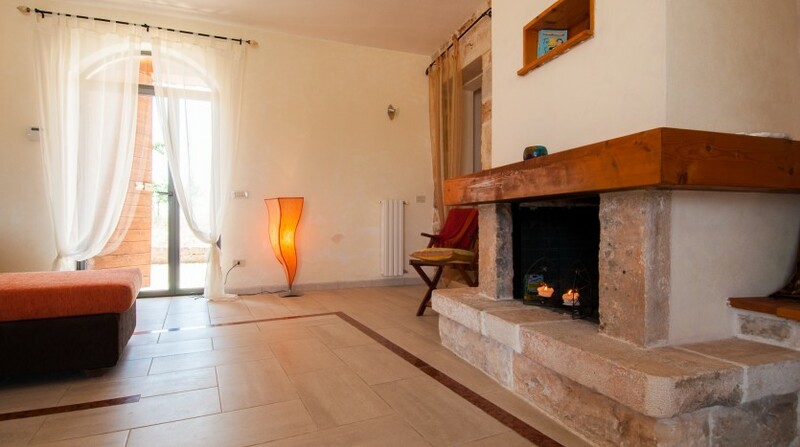 It has a private pool, enriched with a classic living stone cottage, known in Italian as a ‘lamia‘, immersed in Apulian nature, just a few steps away from the gorgeous caves of Castellana Grotte and from the thousand-year old Trulli of Alberobello. 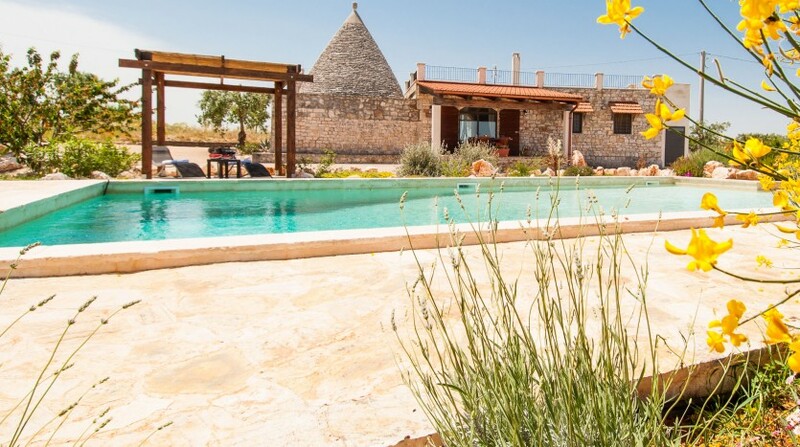 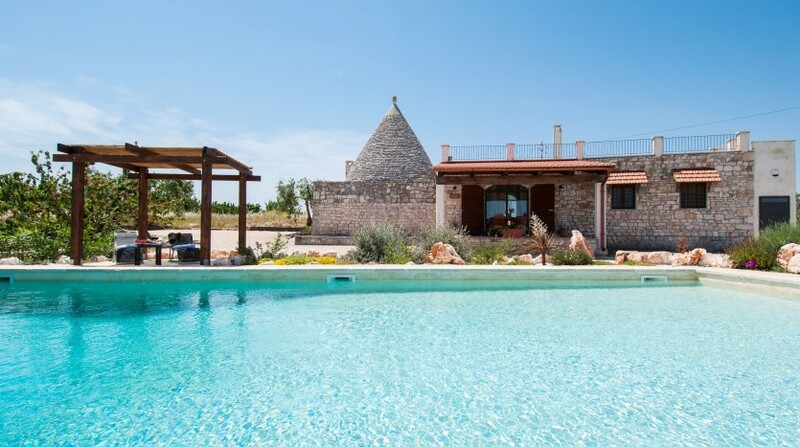 The unique positioning of Trullo Sotto le Stelle, on a hill, allows guests to admire a breathtaking panorama with a 360° view of the gentle hills of the d’Itria Valley. 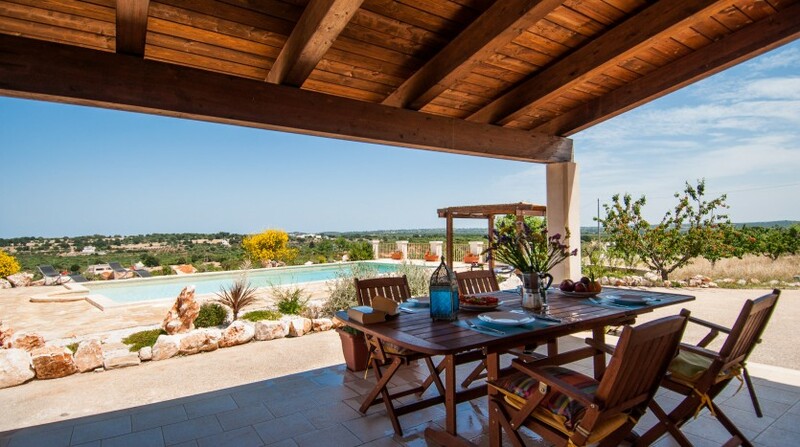 On days with clearer skies, this unique view stretches all the way to the sea, 15 km from the Trulli. 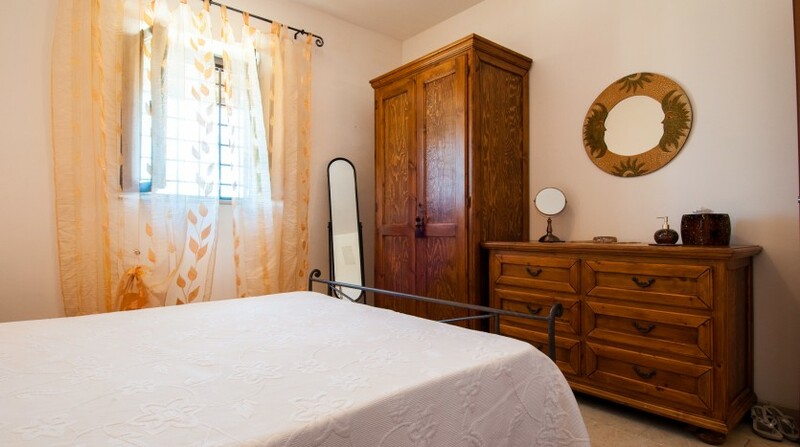 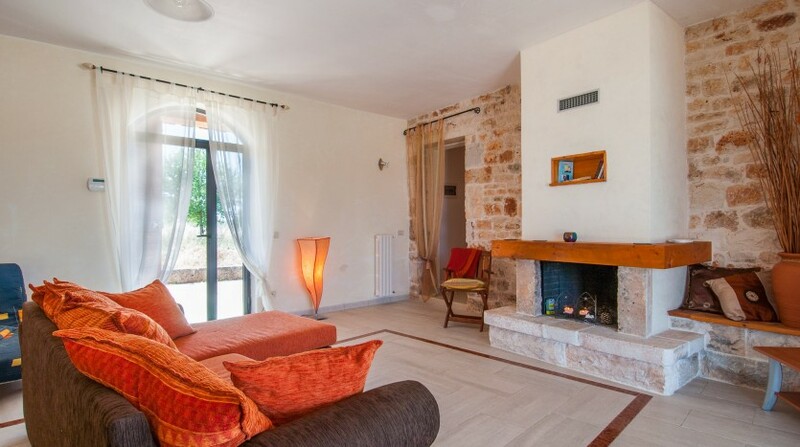 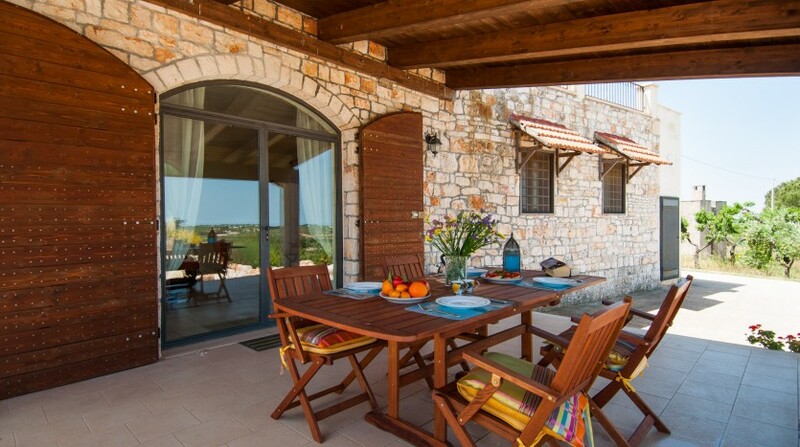 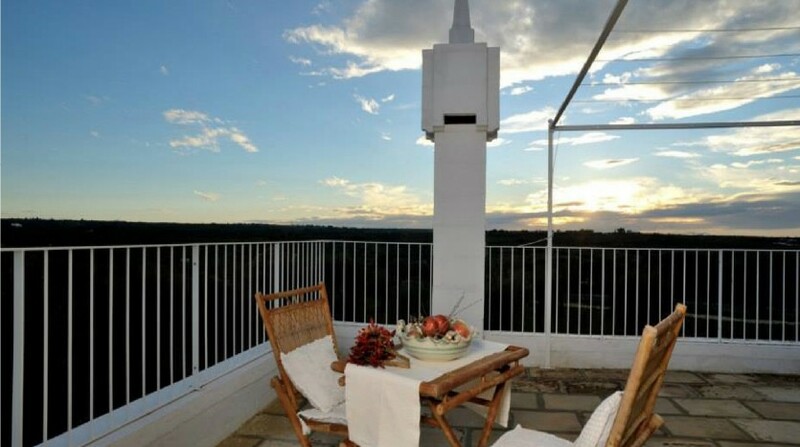 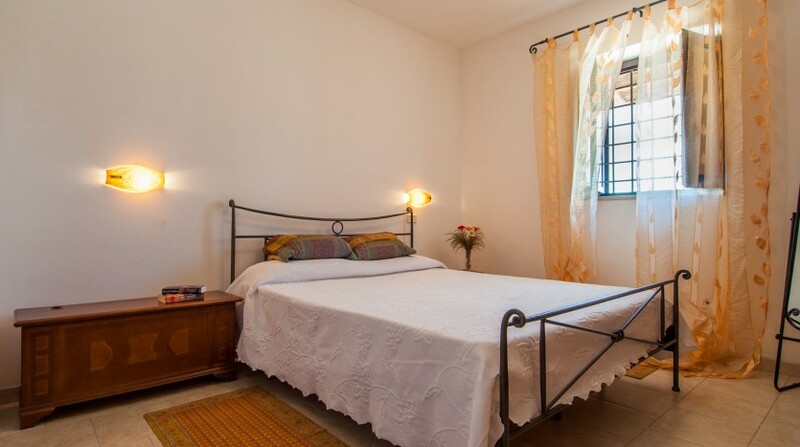 The property offers an excellent quality/price ratio, and may welcome up to 6 guests. 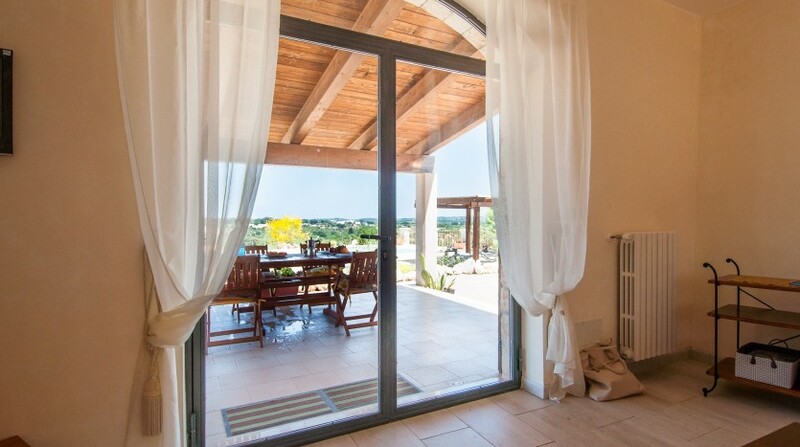 In the interior there is a large and luminous living room with fireplace, giving you access to a small outdoor terrace, a fully equipped kitchen in stone, a master bedroom with en-suite bathroom, a second bedroom with two single beds and a second fully fitted bathroom. 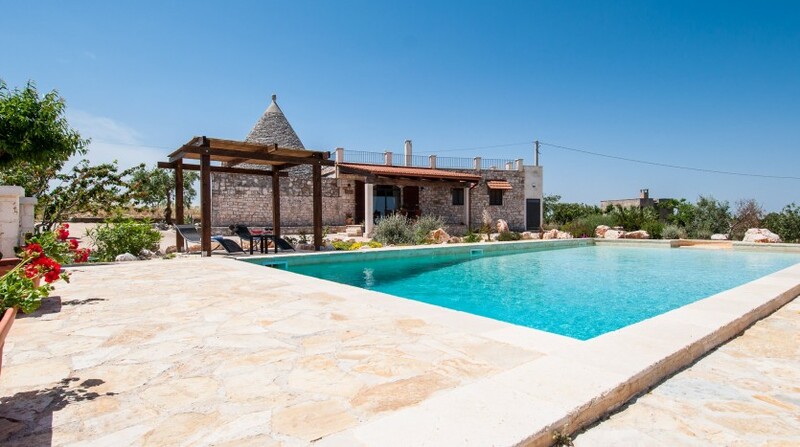 The outdoor area includes a large private pool for exclusive use of Trullo Sotto Le Stelle’s guests, and a wooden pavilion equipped with sun loungers and outdoor dining table, guaranteeing shade during the heat of the hot summer days. 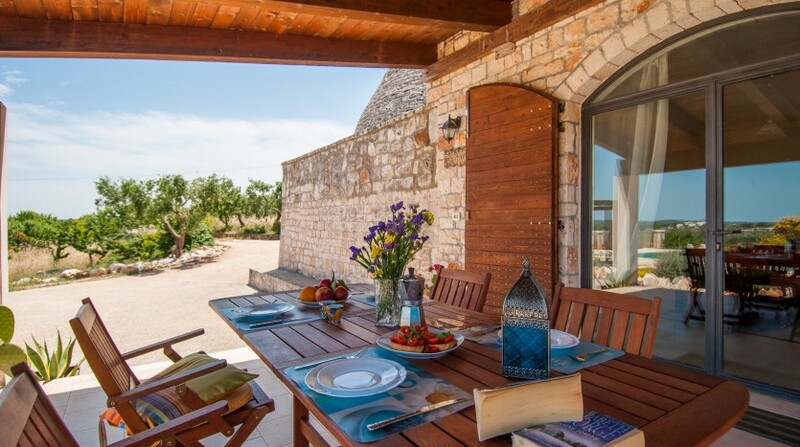 There is also an outdoor cooking area with BBQ, equipped with worktop and benches all in stone, allowing guests to take their lunch or dinner in the open air. 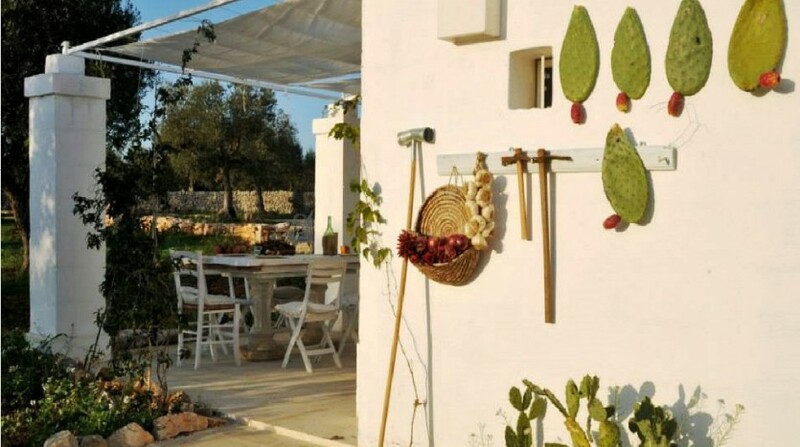 All around you will hear nothing but peace and quiet: from the traditional Apulian country houses, also called “Masserie”, to the unspoiled greenery of century-old olive trees and fruit trees, characteristic of this little heaven on earth. 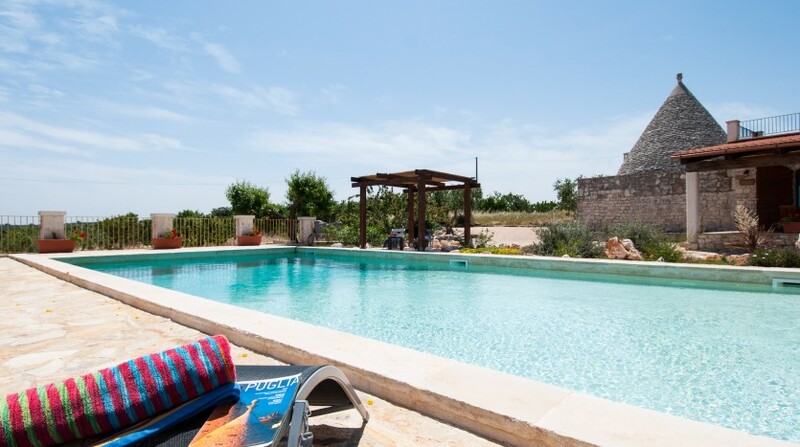 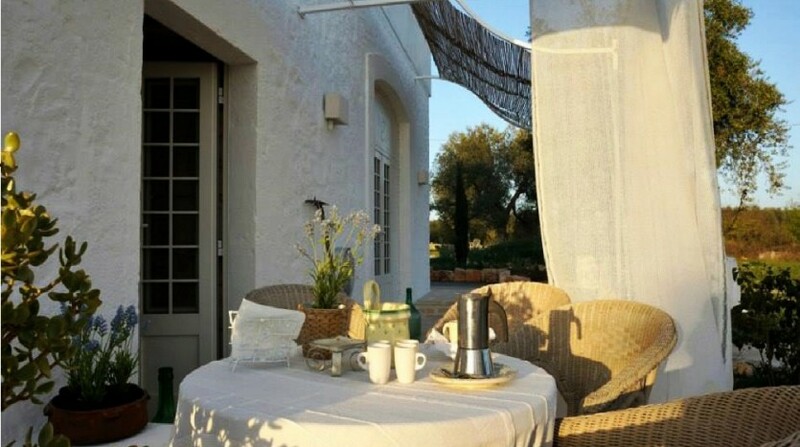 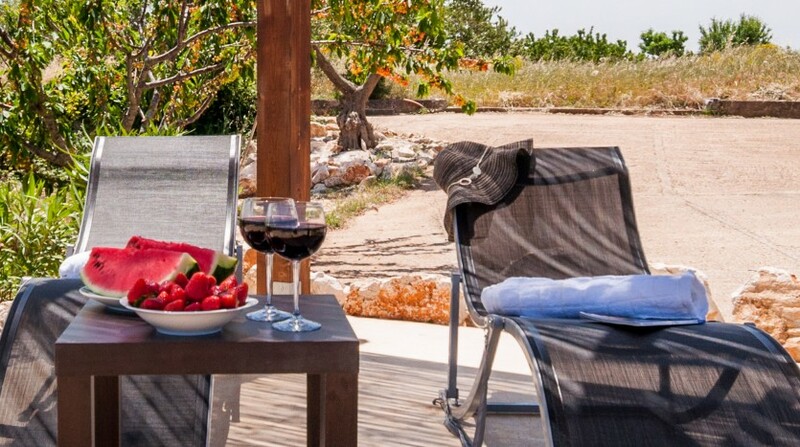 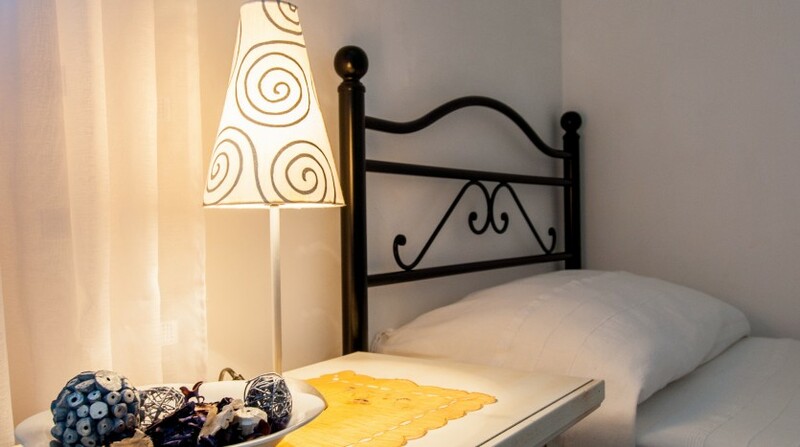 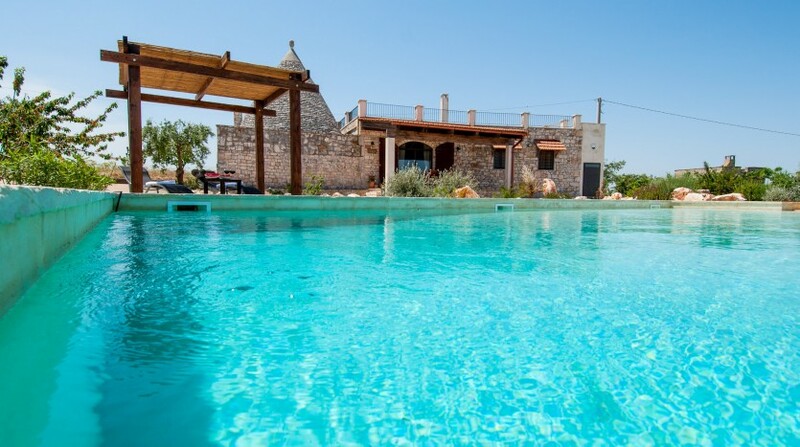 Trullo Sotto le Stelle is the ideal holiday home for families, including those with small children, who are seeking an Apulian stay characterised by tranquillity, relaxation and comfort. 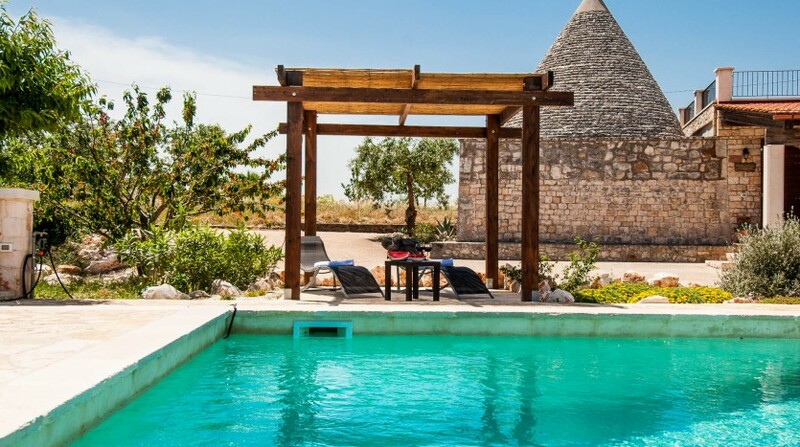 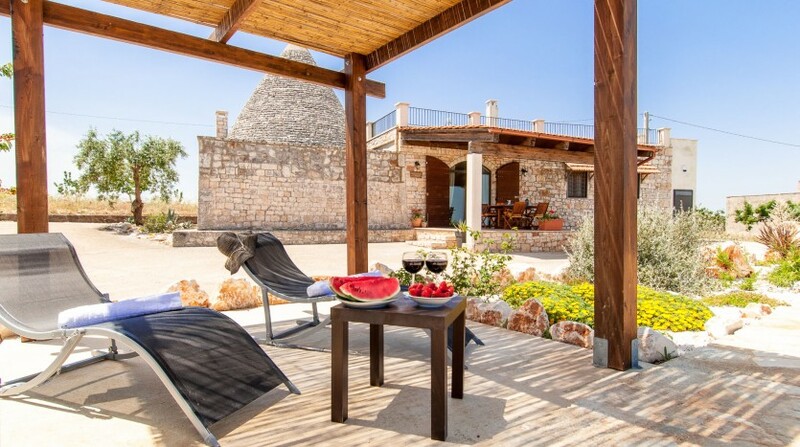 In fact, the Trulli complex is extremely functional thanks to the rooms being fairly close to each other (the comfortable outdoor terrace is just 3 metres from the pool, BBQ area and kitchen). 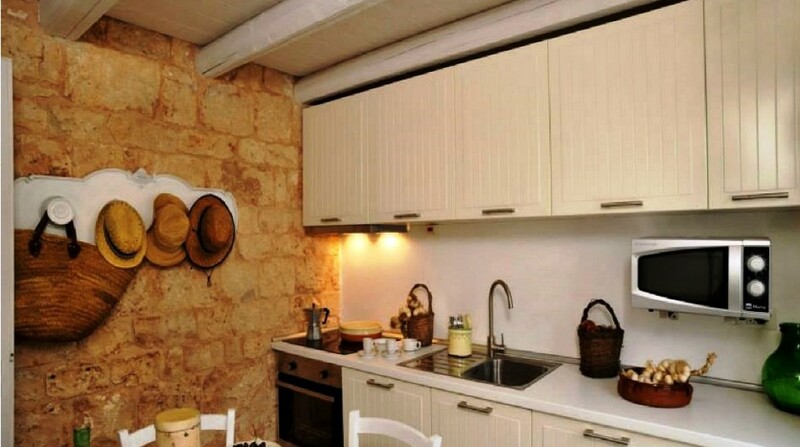 Fully fitted kitchen with dishwasher, electric oven, microwave, toaster, espresso maker, and kettle. 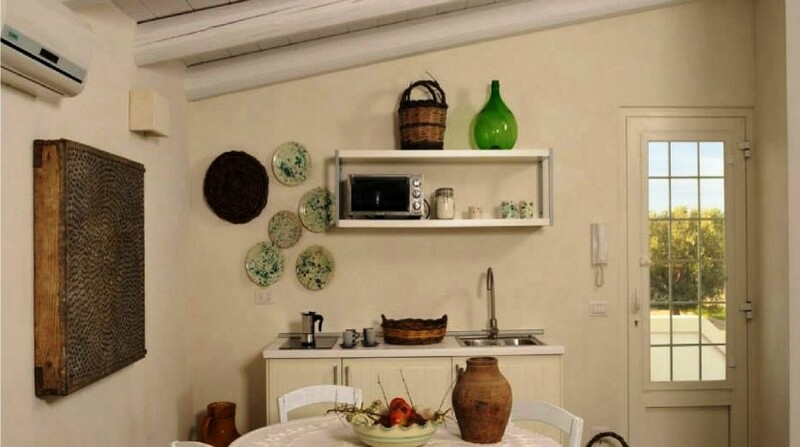 Dining room in the same area as the kitchen, with table seating up to 8 people. 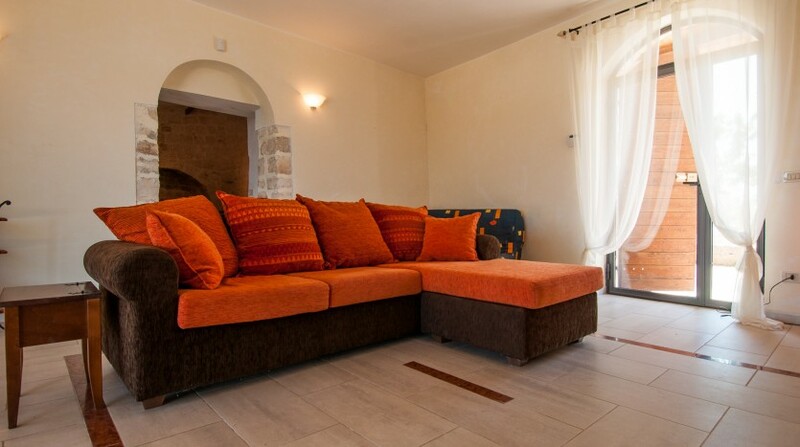 Living room equipped with two sofa beds, fireplace, TV area with DVD player, and Wi-Fi hotspot. 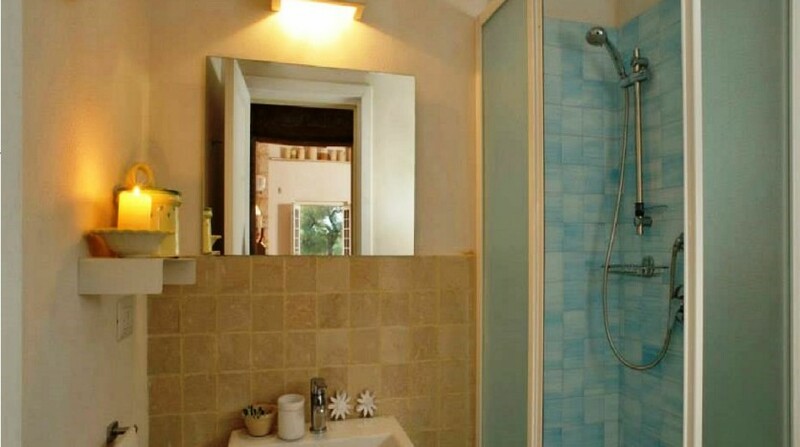 A bathroom, with sink, WC, bidet, and bath. 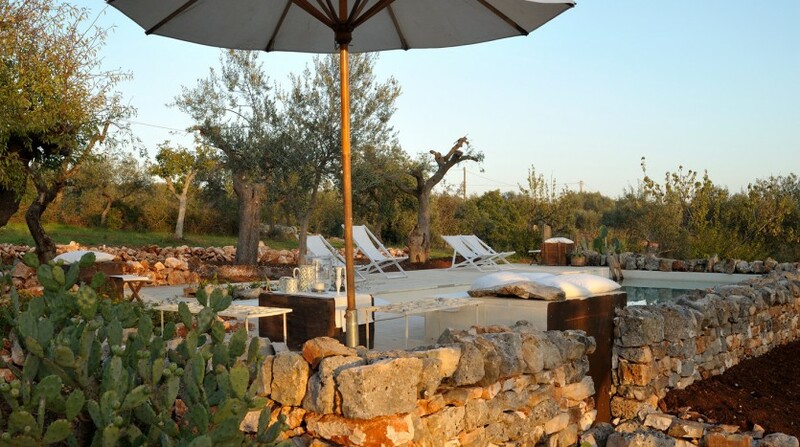 Outdoor cooking area with BBQ and worktop and benches all in stone. 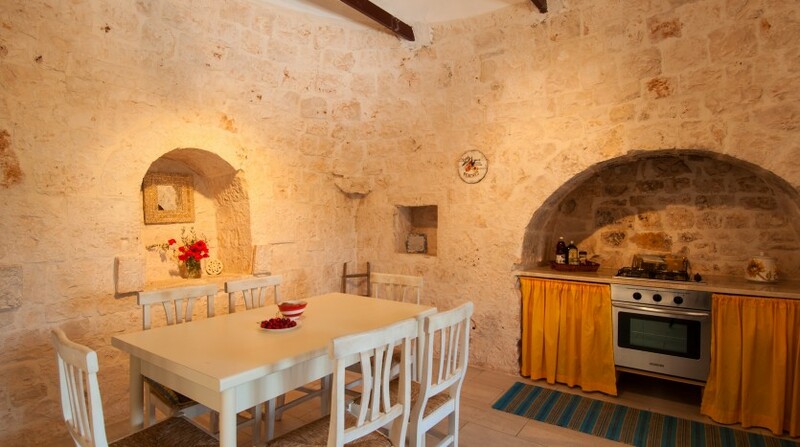 The Valle d’Itria embraces the provinces of Bari, Brindisi and Taranto, and extends to the communities of Locorotondo and Martina Franca. 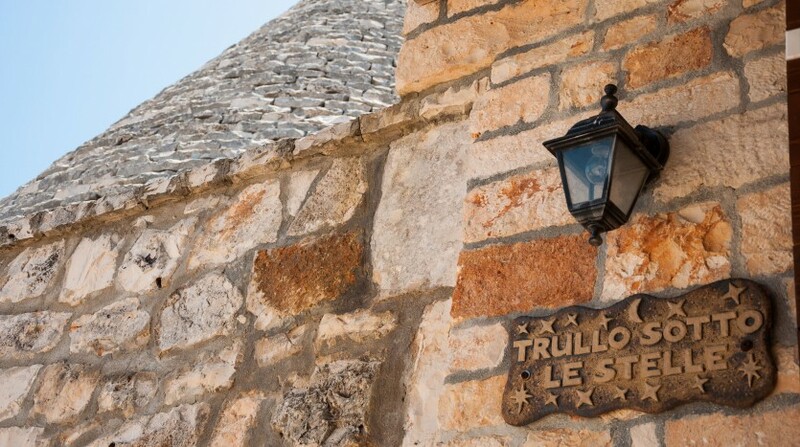 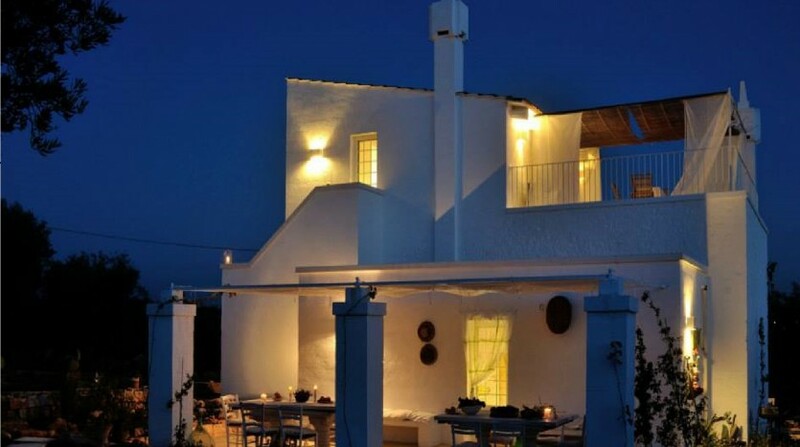 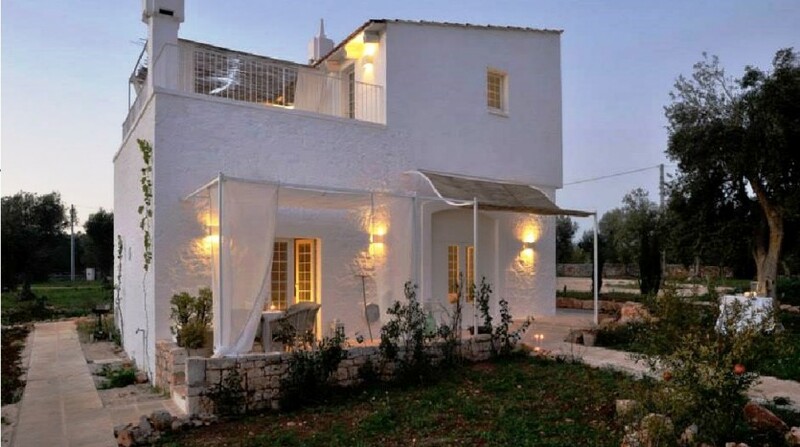 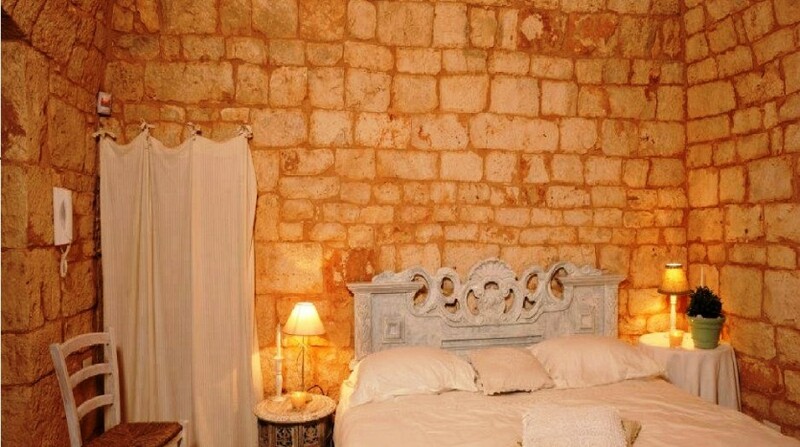 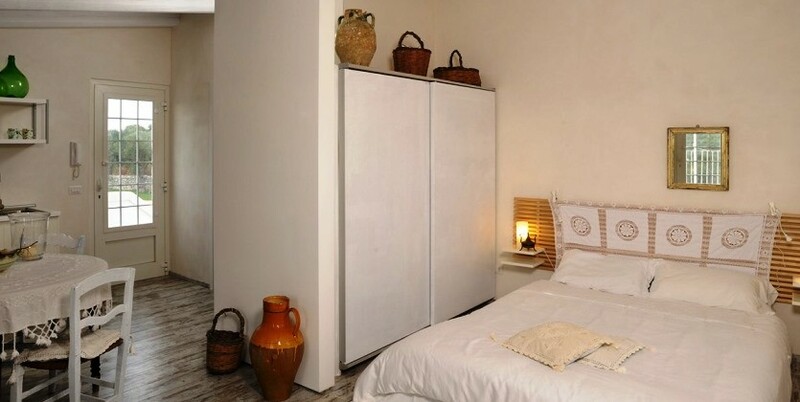 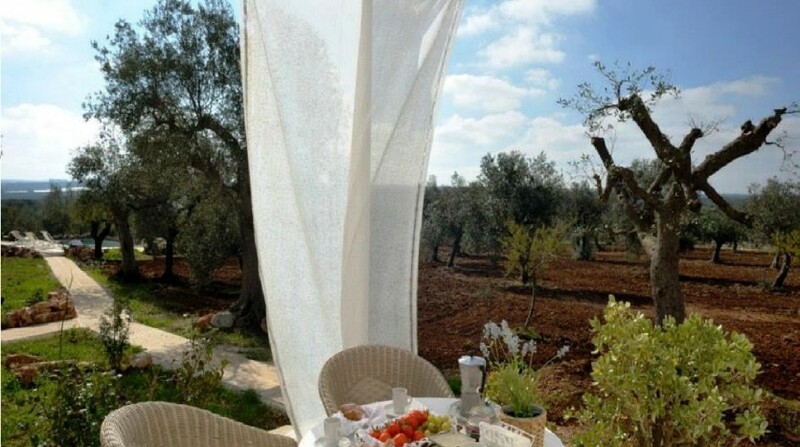 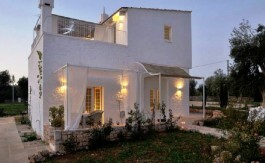 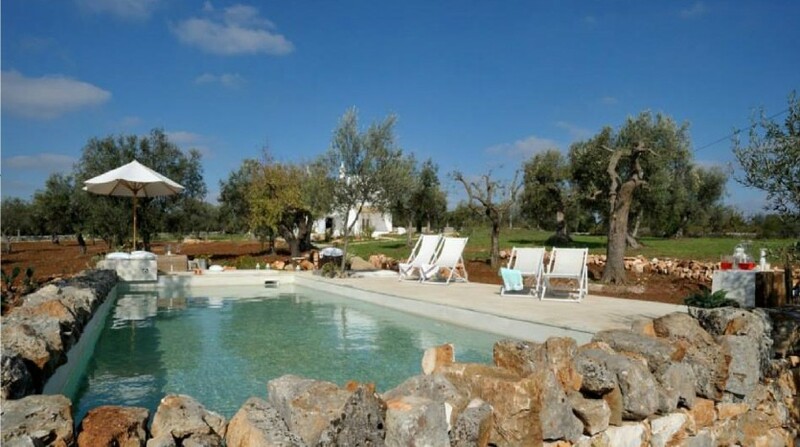 The Trullo Sotto Le Stelle is located in one of the most typical areas for holidays in Apulia. 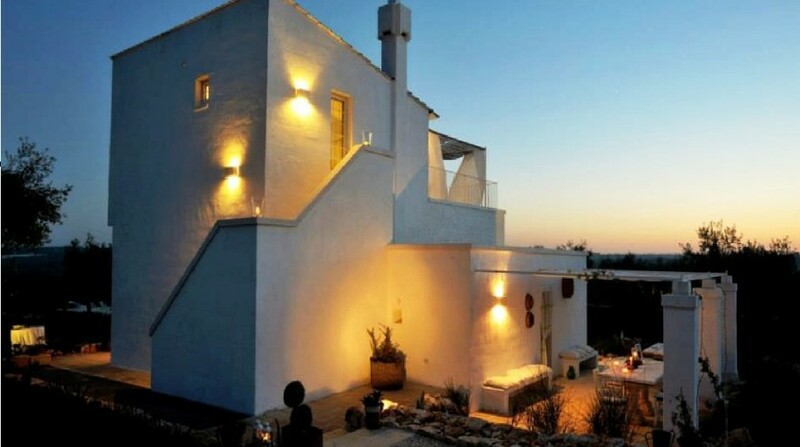 The landscape is characterized by the typical conical houses, the Trulli, centuries-old olive groves and charming farms. 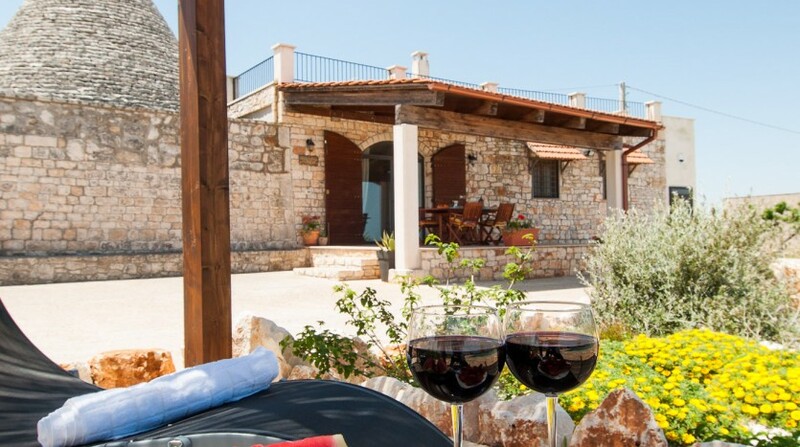 The valley is rich in vineyards and olive groves that dominate the rolling hills.